Meet-Ups:meet with representatives from attending business schools both 1-to-1 and also in small group meetings. Panels:attend presentations from MBA admissions directors on the application process and requirements, financing options such as scholarships or loans, and also GMAT strategy sessions. 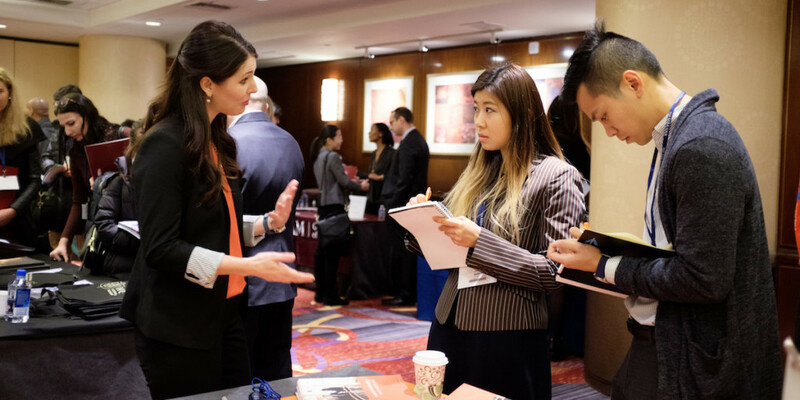 Networking Fair:visit the booth of Columbia University, UCLA Anderson, Erasmus Rotterdam, and more to speak with their representatives. Access to all this free information will help you succeed in your application. At this Jakarta MBA Conference, you can also meet alumni from the top business schools such as UCLA Anderson who will share their experience going through the application process from preparing the GMAT, writing essays, and going through the interview. Last but not least, Toga MBA Consulting will also be providing free CV reviews for those that bring printed copy of their CVs. We will also answer any questions about our test prep (GMAT, GRE, TOEFL, IELTS) courses and MBA admissions consulting service. Please share to others that you think might be interested in attending this MBA fair!